Phi Kappa Theta fraternity was established by a group of Catholic students at Brown University in 1959. It was founded by students, who refused to join other fraternities due to their faith. 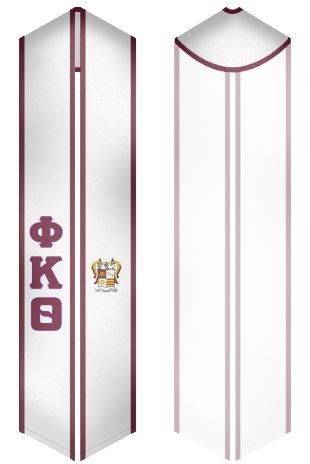 Phi Kappa Theta is a result of uniting Catholic fraternities Phi Kappa and Theta Kappa Phi. It is a national social fraternity that has more than 50 chapters and colonies in US universities. Phi Kappa Theta fraternity doesn't have religious restrictions. That’s why so many members of the fraternity are not Catholic. 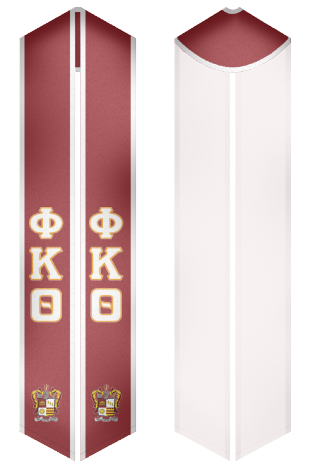 Our online store offers a lot of sashes for Phi Kappa Theta fraternity that come in different designs, colors and sizes.